Guess who’s performing at the Grace Place every Sunday morning? It’s our new choir! We all love to sing and raise our voices in praise to the Lord. Choir practice is held in the Church Sanctuary every Wednesday night at 6:15 pm. Pastor Ron says “we are a mighty few” but we make a joyful noise unto the Lord and would love to fill up our choir loft with your smiling face and beautiful voice. No auditions, applications or resumes required. Just show up for choir practice on Wednesday nights and we will put you in a choir robe on Sunday morning. 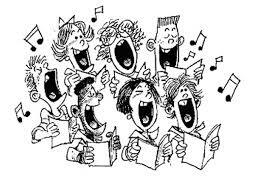 Please note that it is always a good idea to check Announcements for any adjustments to regular choir practice schedule. (770) 330-7528 for additional information.